Who would have thought there is a day devoted to the humble yet wondrous Yorkshire Pudding. I love a Yorkshire pud, even better, I love its traditional accompaniment of beef. So when someone told me that tomorrow, Sunday, is The Day to celebrate Yorkshire puddings (always the first Sunday in February apparently) it seemed a good enough reason to look at red wines to enjoy with beef. A tenuous link perhaps, but my brain works like that. I cooked a beef joint in half a bottle of red with lots and lots of onion, carrots and celery. It was unctuous, slow-cooked, melting beef. I nestled the sauce in a crunchy Yorkshire (well, two actually) with the humdinger heat of a horseradish huddle spooned alongside. Now that was a challenge for any red. 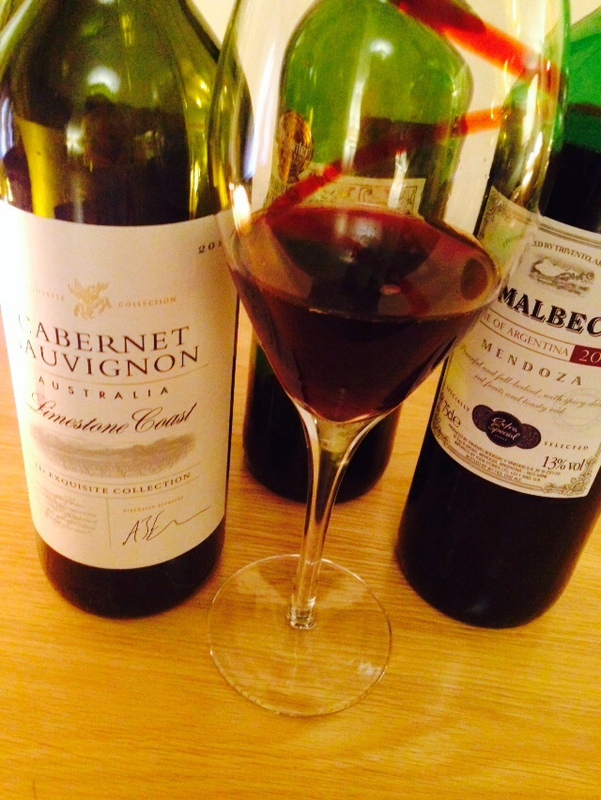 Extra Special Malbec 2014 (ASDA, £7) is a ruby red from Mendoza, Argentina, with 13% abv. Plums rise out of the glass, with a breeze of heather and some herbs. There’s no running away when it comes to the horseradish test; and the savoury beef and soft veg merged with the wine into a fruity, onion sweet, spice kick. The Exquisite Collection Limestone Coast Cabernet Sauvignon (Aldi, £6.49, 14% abv) A deep red, so deep you can’t see your fingers through the glass. The Limestone Coast chardonnay is a winner with some of my friends, but what of the cab sav? There’s a menthol hum above the rim, with lots of squeezed blackcurrants, herbs and pepper. To taste, the dark fruits blend and melt with the beef and burst delightfully with the horseradish. To one more cab sav, another from Australia, and McGuigan Classic Cabernet Sauvignon (RRP £8.49 Tesco, Sainsbury’s, 12.5% abv). A lighter red than the Aldi cab sav, as clasping fingers can be seen through a red haze of wine and glass. The aromas of black fruits helter skelter through upfront spicy pepper, as feminine florals float alongside. Blackcurrant bastes the beef with soft fruity notes and acidity excites with the horseradish. 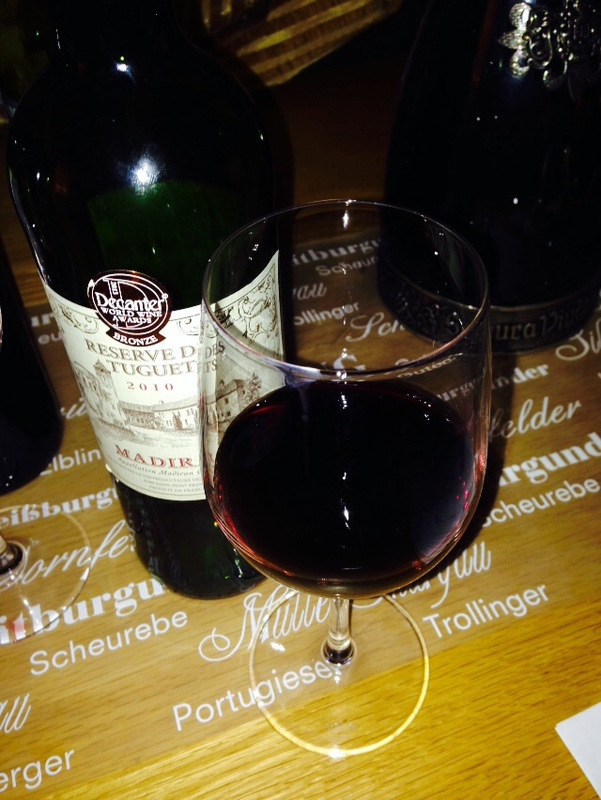 Réserve des Tuguets 2010 AOC Madiran, Plaimant Producers (£11.99, Tesco) There’s three grapes here. Tannat, cabernet sauvignon and cabernet franc are blended in the foothills of the Pyrenees to produce this wine which won a bronze at the 2013 Decanter World Wine Awards. I expected oomph, a flash of French Musketeer bravado. If the previous three wines were defiant T-shirt ripped teenagers, this wine is in its twenties, quieter and wearing a three piece suit. With the beef, yes, blackberry and blackcurrant flavours are perfect; with the horseradish, it was overpowered. Crikey. It’s a challenge to keep eating and drinking, but someone has to. Also in my glass … Craggy Range Sauvignon Blanc (sold widely, various prices, including The Wine Society £11.95, and Majestic £15.99 – £11.99 on a buy any two offer). Craggy Range won the New World Winery category at the prestigious Wine Enthusiast magazine’s Wine Star Awards a few weeks ago. It’s a sauvignon blanc with a difference. Grapes have been fermented in French oak, aswell as stainless steel, and then the wine was matured for five months before bottling. There is the fresh lime citrus spike on the nose familiar to sauvignon blanc, but with a floral lift and lots of tempting tropical fruits. To taste, a meringue of limes and more tropical fruits with a creamy, and flinty, finish. Delicious. Woh woh woh, hold up, there’s a national yorkshire pudding day? amazing! We should invent other special days, including National HP Sauce Day, or National Pickled Onion Day. Yes. I think we should.